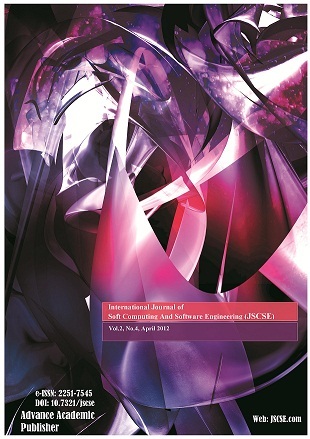 The JSCSE is an open access journal which do not sell published papers, and it offers all published papers free of charge (open-access) to all members, researchers, libraries, organizations, companies and universities world-side. Although author must pay the publication fee of accepted paper by author's orgnanization/university/institute/company or research funds, some publications grant is available for full-time PhD students. Do not exceed 40 pages for each paper with the JSCSE template (Click here to download the template), No additional page is accepted. There is no handling charge for paper submission. Authors need to pay publications fee, if the paper is accepted. The accepted papers for publication in JSCSE will be processed after the authors pay the publication charge. The method of payment is by "Bank Wire Transfer" or "Debit Card","Credit Card", "Visa Card", "American Express", "Master Card" or "PayPal" and safe and secured payment method by Paypal by logging in the submission system. - Debit Card or Credit Card (USD and other currency available by PayPal): Use register a paper in the journal submission system. Charge for Fast-Track Paper Review Process (Should be request by correspondance author, after a paper submission): If authors decide to go with a fast-track review process, authors will be charged a $290 USD that includes publication charge and fast-track review process, if the paper is accepted. Publication grant is not elligible for fast-track review process. The fast-track review process will be not increase chance of paper acceptance.